At our first Breakfast Club of the New Year, we were joined by Rhys Herbert, Senior Economist for Lloyds Bank. Rhys works in the Economics Research Department for Lloyds, where he is responsible for analysing and forecasting trends in a number of the major G10 economies. Rhys began his presentation to the Club by stating his prediction that we should “see this as a year that UK interest rates will start to turn around.” Since the recession, interest rates have been incredibly low but as the economy recovers, interest rates should increase alongside it. Rhys says that a key question that needs to be asked on the topic is “Should interest rates still be at the emergency levels they were at during the recession?” He commented that this is even more relevant in the US, since interest rates there are currently even lower than the UK, although they are expected to rise again this year. Since the recession in 2009, the UK has seen a very hesitant recovery. However, the recent fall in oil prices is a key factor in the UK’s future recovery. Oil prices are currently at slightly more than pre-recession levels but significantly less than at any other point since then which is helping to bolster the economy. Rhys also explained that he doesn’t see disinflation as a huge concern for either the UK or the US. The US is generally similar to the UK with a slightly hesitant recovery initially but their economy is now doing quite well. By contrast, the overall level of output in the Euro area remains low and inflation there is currently so low that deflation is more of a concern. Rhys continued by explaining that UK inflation figures have fallen sharply over the past few months which would make it difficult at present to increase interest rates. However, the current domestic situation does point to good inflation ahead and we could perhaps expect a rise in interest rates towards the end of this year. Rhys also noted the relevance of UK politics to economic forecasting with the upcoming General Election in May. He explained that as the political situation in the UK is currently unusually uncertain, it is difficult to make economic predictions for immediately post election. Concluding his presentation with a focus on Wales, Rhys said that the Welsh economy is recovering much more slowly than the UK as a whole. He also made reference an over-reliance on the public sector and a need for more investment in the private sector. Breakfast club meetings are held monthly at St. David’s Hotel and Spa with a range of guest speakers. For further information and booking details, please contact susannah@petersenspr.com or phone 02920 549597. It is very pleasing to read in today’s Western Mail the article written by Leighton Jenkins, assistant director for policy at CBI Wales. 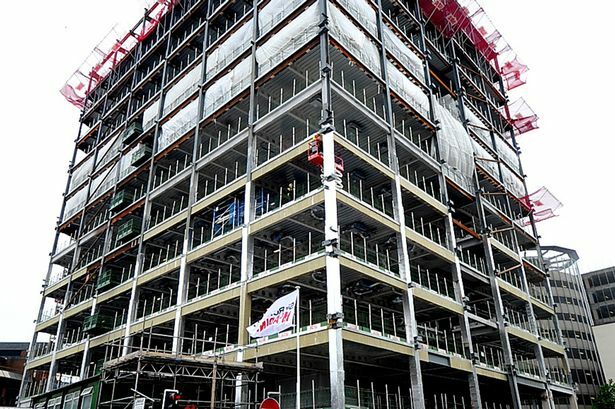 Leighton refers to Cardiff Council’s compelling case for a new approach to its economy – “Rebuilding Momentum”. He endorses the point that whilst Cardiff is an established UK core city, known as one of the UK’s most “livable” cities and recognised internationally as a vibrant and modern Small European Capital, it is over 10 years since the last major investment was secured. It is therefore crucial for both private and public sector to work in partnership to help create the necessary momentum for Cardiff and the Region to fulfill the opportunity there is to grow our fragile City economy. Leighton quotes case study examples of Leeds, Aberdeen and Camden where far-sighted politicians, planners and entrepreneurs worked together to create more homes, exploit local strengths, use empty spaces etc to get local economies growing. Lets hope that such creative thinking can take place in Cardiff, led by the new Cardiff Business Council. As our newly promoted Cardiff City premier footballers proved on Sunday, beating strong competitors Manchester City, with a positive approach and a well-organised team Cardiff Plc can climb the regional investment table in the UK to the position it rightly deserves. Paul Fisher, Executive Director for Markets and a member of the Bank of England’s Monetary Policy Committee (MPC), addressed the Cardiff Breakfast Club this morning. 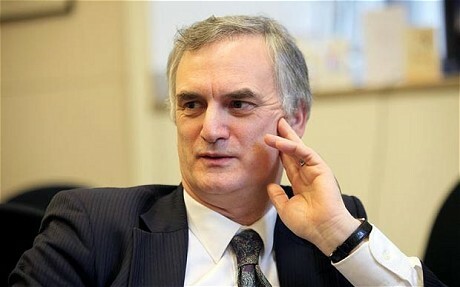 Paul joined the Bank of England in 1990, holding a number of senior positions before becoming Executive Director for Markets in March 2009. He discussed the impact of ‘groundbreaking’ institutional changes the Bank of England introduced last month and gave an outlook for the UK economy, including the role that monetary policy can play going forward. These ‘historic’ new arrangements include the return of banking supervision. While Paul stressed that supervision ‘cannot guarantee that banks and building societies won’t fail’, changes to the supervision procedure have been made to ‘exploit synergies’ between all parties involved, to ensure a better job is done. Turning to the economy, Paul stated that this has been a ‘disappointing’ and ‘extraordinarily flat’ period, with only 5 of the 21 quarters since 2008 showing growth. Paul estimated that Britain is ‘between two-thirds and three-quarters of the way through’ the post-recession recovery period, and was keen to stress that no ‘crash bang boom wallop’ recovery is likely any time soon. Paul Fisher, Bank of England, was this morning’s Breakfast Club speaker. This can however be seen as a ‘glass half full or glass half empty’ situation. While short term growth is likely to remain subdued for the next few years, the situation after such a deep recession ‘could be profoundly worse’. Paul is fairly hopeful that ‘gentle’ growth will resume this year, and is pleased to see firms and households expanding once more. Spending will remain muted as households continue to save more than before the crisis, with individuals also working longer and for lower wages. The financial sector has been impacted by banks and building societies looking to sell off their commercial property portfolio. The corporate sector presents a ‘mixed picture’; SMEs are struggling to access the credit they want, but larger companies could help the situation by investing rather than continuing to save. Paul also discussed the consistently low interest rates that frustrate savers, explaining that we cannot expect safe, real returns from the market until the economy is growing again. Once we get back to reasonable growth rates, savers will be see better rates of interest. Paul was supportive of the efforts monetary policy has made to sustain the economy’s return to growth. There are ‘strict limits to what monetary policy can achieve’ in the current situation, but progress is being made. Changes will take time to work through. The Bank of England will continue to play its part in stimulating economic recovery, but we should not expect a ‘boom’ any time soon. 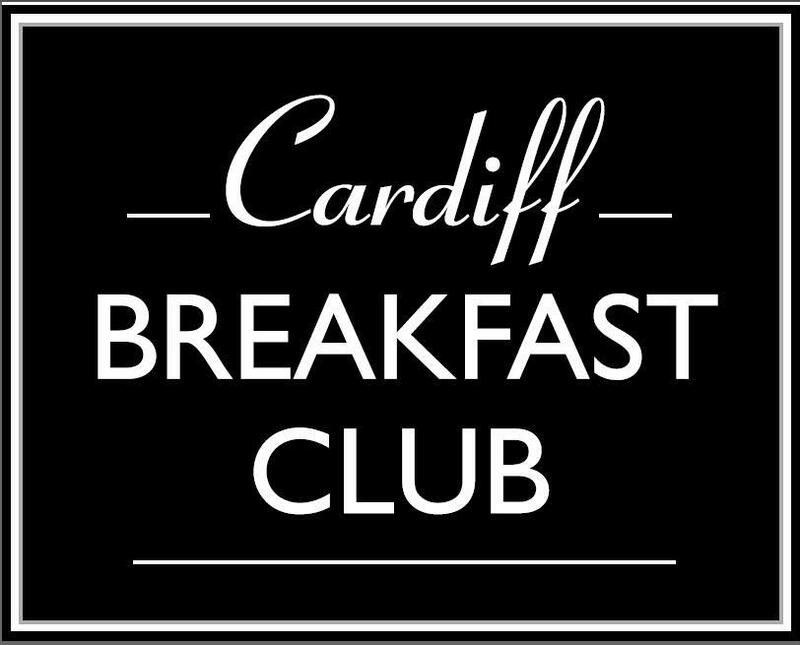 The next Cardiff Breakfast Club meeting will be held on the 14th June with guest speaker Russell Goodway, Cardiff Council. This event is kindly sponsored by Cardiff Metropolitan University. For information please contact Sally Taylor on 02920 549597 or at sally@petersenspr.com.